There has been a blogging hiatus here at Gidday HQ as life in general overtook…well everything over the last couple of weeks. Preparing our exhibition at an international industry fair last week has been a six month affair but the last couple of weeks have been all-consuming and short of tapping out my 3am lists of things to do here on Gidday – not very interesting reading – I’ve been a bit bereft of my usual ability to blog about the things that I have found fascinating, curious, annoying, inspiring and funny. It was like everything all got stuck in the pipe and I couldn’t find the wherewithal to squeeze them out. 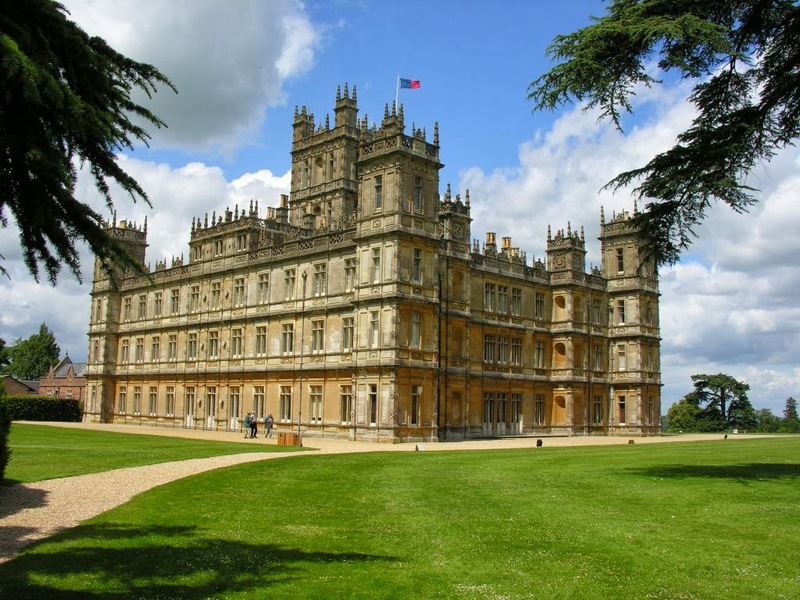 Highclere Castle, or as we know it, Downton Abbey. I know many of you may be wondering how I have managed to come so late to this particular party in light of my predilection for the historical. Well, a few weeks ago I was out for dinner with friends and they were talking about the show, how great it was, and were quite surprised that I hadn’t succumbed. We left the pub agreeing that Season 1 would find myself to me the following day…and the rest, as they say, is history. Season 2 was done and dusted soon after. With both a purposely empty Sunday – to recover from the last seven days away and enjoy an unimpeded re-aquaintance with my own bed – and the start of Season 4 screening tonight, I have spent this weekend watching Season 3. If any of you have watched a whole season of something in a compressed period of time, you might understand the emotional rollercoaster of watching a whole nine episodes in quick succession. There are A LOT of ups and downs in this season so I’m thinking that it was probably much less exhausting to allow a week in between viewings. But be that as it may, I am completely hooked. So I’ll be joining the hordes of fans for tonight’s frolic through Fellowes‘ fictional take on upstairs and downstairs. And just in case you were wondering (it’s been a little while so you may have forgotten), there are 23 sleeps to go until Lil Chicky arrives at Gidday HQ. And I only have six working days left until I move into my new role at work. So much excitement, I can hardly stand it. This entry was posted in Life in the UK, Lil Chicky and tagged Downton Abbey, home sweet home, Julian Fellowes, Life in the UK, Lil Chicky, sleeps to go by Kym Hamer. Bookmark the permalink.